Arrival at the José Martí International Airport in Havana. Personalized welcome and assistance by our guides and executives. Accommodation and dinner at the selected hotel, dinner can be buffet or a cold dinner taking into consideration the arrival time. 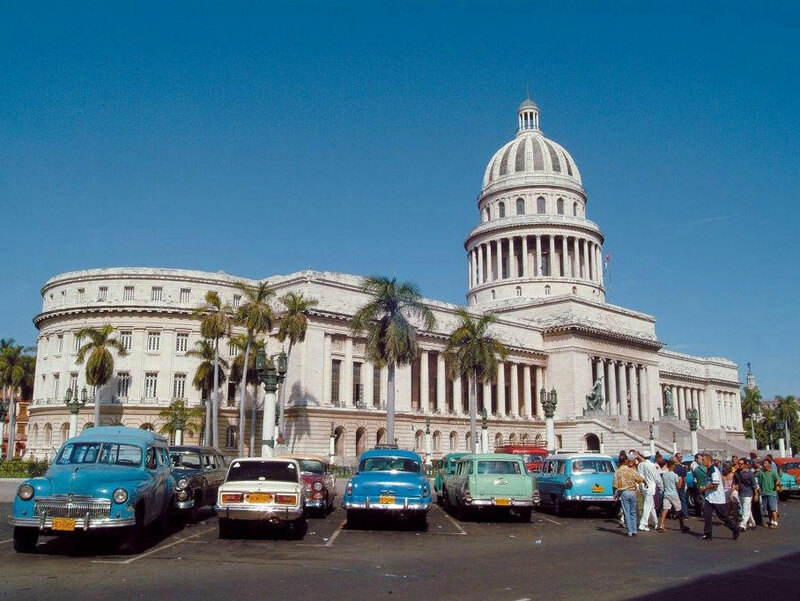 In the walking tour you can enjoy some small places like wineries, warehouses, galleries, and others where tourist life mixes with the way of life of the Cuban people. Optional entrance to the Museum of the City first called Palace of the General Captains. Tour the Plaza de la Catedral and enjoy the lively show of the local artist zanqueros, that gladdens the different streets. Transfer in old American cars, real jewels of transportation in Cuba, to enjoy a concert dinner with traditional Cuban musicians. Transfer to the modern part of the city, Plaza de la Revolución, Vedado and Miramar. Transfer by the north highway to Matanzas. Welcome at the selected all-inclusive resort. Briefing information and free time. Dinner at the hotel with the facilities of the "All Inclusive"
Transfer from the hotel to the departure point of the jeep caravan. You will enjoy an adventure of more than 150 kilometers of travel through embankments, roads, quarries, palm groves peasants. Visit Yumuri Valley and leisure in Rancho Gaviota where you have lunch and visit a peasant house. Upon return, we will ride a speed boat along the Canímar River, a protected area that offers the possibility of enjoying beauty and natural attractions of the place. Transfer from the Hotel to enjoy the excursion in catamaran famous as Crucero del Sol. Visit Coral reefs for snorkeling. Visit to Rancho Cangrejo with time to interact with the lovely dolphins and take a sunbath. During the whole excursion you will enjoy an open bar with Cuban drinks. Lunch at Cayo Blanco and enjoy the beach. Return and transfer to the hotel. Farewell dinner, on the beach, the pool, or some other hotel location decked out for the occasion, with live Cuban music and other attractions.